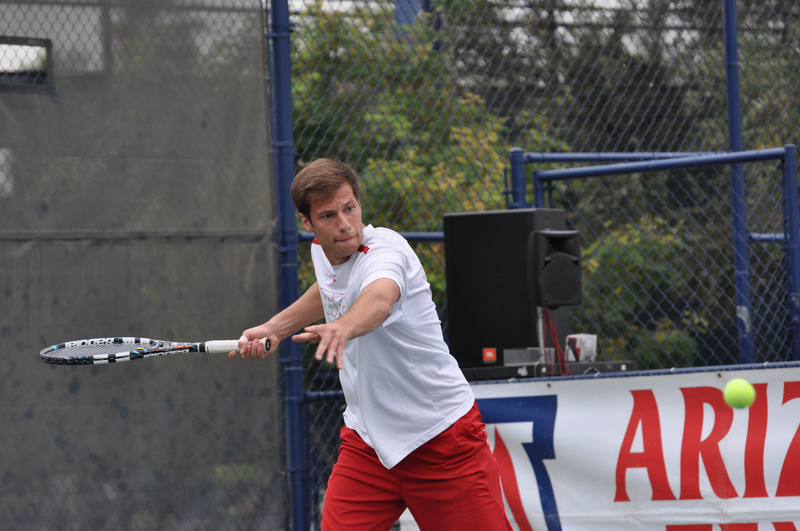 SALT LAKE CITY – Utah men’s tennis player Ben Tasevac has been named an ITA Scholar Athlete for his accomplishments in the classroom during the 2013-2014 school year. In the spring, Tasevac became the first Ute in program history to earn First Team All-Academic Pac-12 status. He was also recently awarded the prestigious Tom Hansen Conference Medal which is given to each Pac-12 member institution’s outstanding senior student-athlete based on the greatest combination of scholarship, athletics and leadership. Tasevac was 48-36 in his Ute career in singles and 25-22 in doubles. He was named Pac-12 Player of the Week on Feb. 25, 2014. His biggest win this season was an upset of No. 55-ranked Maciek Romanowicz of Stanford. As a junior, he twice strung together six-match win streaks and reached the singles quarterfinal round of the Utah Intercollegiate Tournament and the singles round of 64 at the ITA Mountain Regional Championships. During his freshman season, he defeated 24th-ranked Abdullah Hashem of San Diego. Tasevac was also a member of Utah’s SAAC and Student-Athlete Mentor Program. In order to earn ITA Scholar Ahtlete status a player must be a varsity letter winner, have a GPA of 3.5 or better for the current academic year and have been enrolled at their present school for at least two semesters. This entry was posted in Awards and tagged Ben Tasevac, ITA Scholar Athlete, Utah Tennis. Bookmark the permalink.